The approval rating for Prime Minister Shinzo Abe’s Cabinet rose to 49.5 percent after the ruling coalition’s victory in last month’s general election, but more than half of respondents were opposed to his long-held goal of amending the Constitution, a Kyodo News poll has shown. The approval rating improved 5 points from the previous poll in September after Abe was re-elected by the Diet as prime minister and launched his fourth Cabinet on Wednesday. The disapproval rating for the Cabinet stood at 38.3 percent, according to a two-day nationwide telephone survey conducted through Thursday. 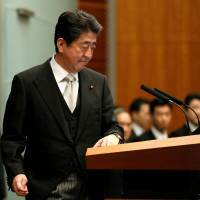 But the survey showed that 51.2 percent of respondents do not want Abe to win another three-year term as president of the ruling Liberal Democratic Party and stay on as prime minister, while 41 percent hope he does. The LDP’s solid election victory could boost the chances that the 63-year-old Abe will secure a third term as party president. His current term as leader ends next September. With regard to Abe’s ambition to revise the Constitution for the first time, 50.2 percent said they were opposed, while 39.4 percent were supportive. In the election campaign, Abe pledged to promote discussion of constitutional reform, centering on explicitly mentioning the status of the Self-Defense Forces in war-renouncing Article 9. Speaking at a news conference Wednesday, the leader of the LDP, which has been pursuing constitutional amendment since its establishment, said he hoped to accelerate preparations for a detailed draft of the proposal. Of the respondents in the latest poll, 52.6 percent said they opposed the proposal to amend the war-renouncing clause, while 38.3 percent were in favor. Asked about up to two issues on which the Abe Cabinet should put priority, 42.5 percent selected welfare, including the pension system and medical treatment, 39.6 percent picked economic policies, and 31.5 percent cited child care and measures to counter the declining birth rate. The LDP and its junior coalition partner Komeito secured a two-thirds majority in the election for the 465-seat Lower House on Oct. 22 amid disarray among the opposition parties. In response to a question about the ruling camp’s resounding victory in the election, 32.5 percent said the result was “good,” 28.7 percent replied “not good,” and 37.4 percent said they were unsure. 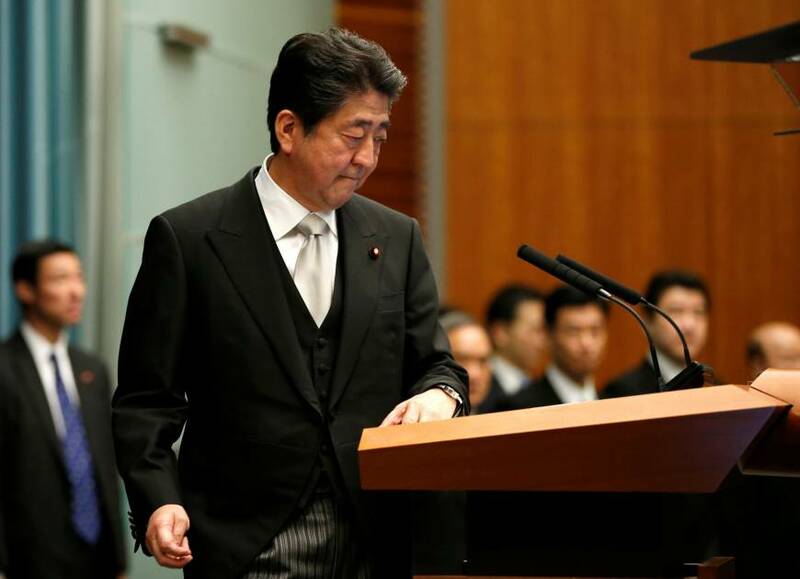 Abe’s popularity plunged to 35.8 percent in July, the lowest level during his nearly five-year stint as prime minister, due to a series of scandals, including allegations of cronyism. But his popularity improved and remained stable after he reshuffled his Cabinet in early August, appointing LDP lawmakers viewed as not especially close to him, including Foreign Minister Taro Kono. The LDP was supported by 38.9 percent, up 4.2 points, the newly launched left-leaning Constitutional Democratic Party of Japan was backed by 16.1 percent, and 5.7 percent supported Kibo no To (Party of Hope), another new party launched by Tokyo Gov. Yuriko Koike. The two new parties effectively splintered off the Democratic Party, the leading opposition party before the election that garnered only 0.9 percent support in the latest poll. The survey covered 726 randomly selected households with eligible voters, receiving 503 valid responses, as well as 1,138 mobile phone numbers, which drew 504 valid responses.